Kelleigh Gibbard is the executive administrator to Real Property Management Tidewater’s CEO and provides general office support. In addition to her duties, she shows properties, and assists with move-ins. Kelleigh finds it personally satisfying when she helps a tenant find their new home. 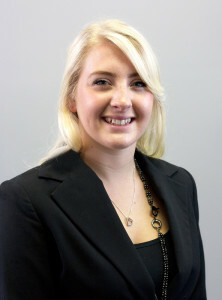 Kelleigh has been working in the real estate and property management industry for four years. She began her career in 2011 as an office assistant to a high volume real estate team where she developed her strong customer service skills. She joined RPMT in April 2015 seeing an opportunity for a new career direction, and plans to eventually become a broker. Born in Virginia Beach, Kelleigh graduated from Tallwood High School with an Advanced Diploma and honors. She enjoys outdoor activities such as fishing, mudding, camping. Kelleigh is pleased to be part of Real Property Management Tidewater and the opportunities that company offers. Most importantly she appreciates how the company is dedicated to its clients and tenants.